Do you suffer from fine, thinning and weakened hair? Give your hair a boost with Logona Age Energy Shampoo, the most active and powerful of all Logona Shampoos. It contains an effective blend of natural ingredients which will gently cleanse your hair and scalp and add new suppleness and vitality to your fine and thinning hair. As both men and women get older, their hair tends to become thinner and less voluminous. Having fine and thinning hair can be slightly embarrassing and it can be discouraging not to have the thick and voluminous hair that you once had. You can restore volume to your fine and thinning hair with Logona Age Energy Shampoo with the power of Organic Caffeine. This high quality natural shampoo provides mild cleansing care for your hair while the organic caffeine invigorates and the mineral-rich goji berries, bamboo, gingko biloba and pomegranate pamper your hair with natural smoothness and renewed volume. This shampoo works to strengthen your hair follicles so that your hair will grow healthier and more rapidly. 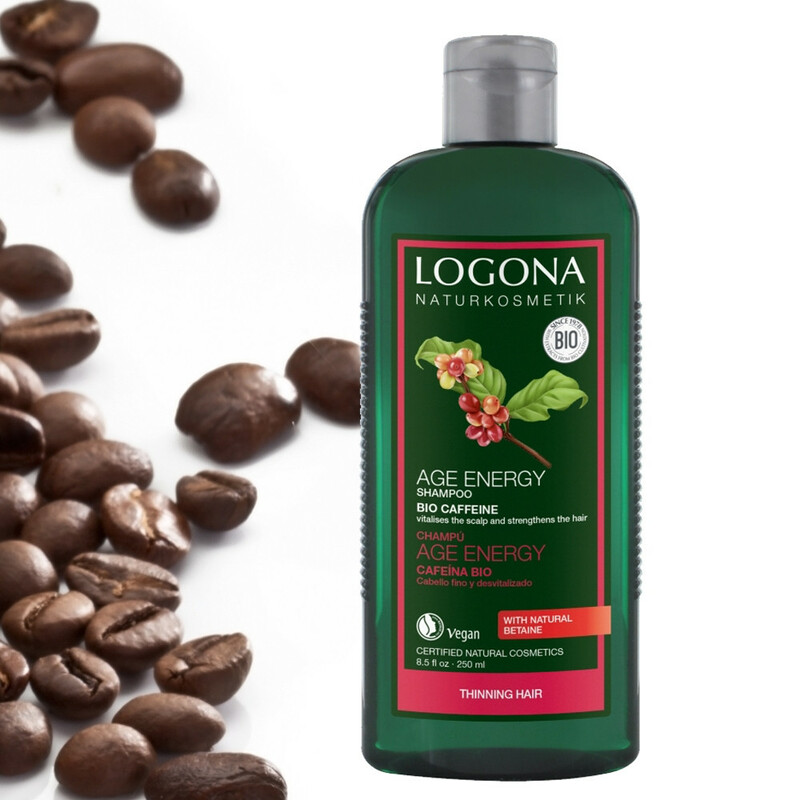 Logona Age Energy Shampoo is gentle enough for daily use. Try Logona Age Energy Shampoo with Organic Caffeine and you will notice the difference as your fine and thinning hair starts to look and feel thicker, softer, healthier and more voluminous.